I'm not lying when I say this. No exaggeration. I've tasted a lot of cookies, and these hands down are the best on planet earth. Jaque Torres is world renowned, and after you taste his chocolate chip cookie recipe, you will see why. So I did not use separate flours. I used all purpose flour for this recipe and it's still incredible. But YOU MUST SIFT. When the man tells you to sift the things, you sift them. Makes a HUGE difference. Bonus? The recipe makes a crap ton of dough. I usually freeze at least half of it. 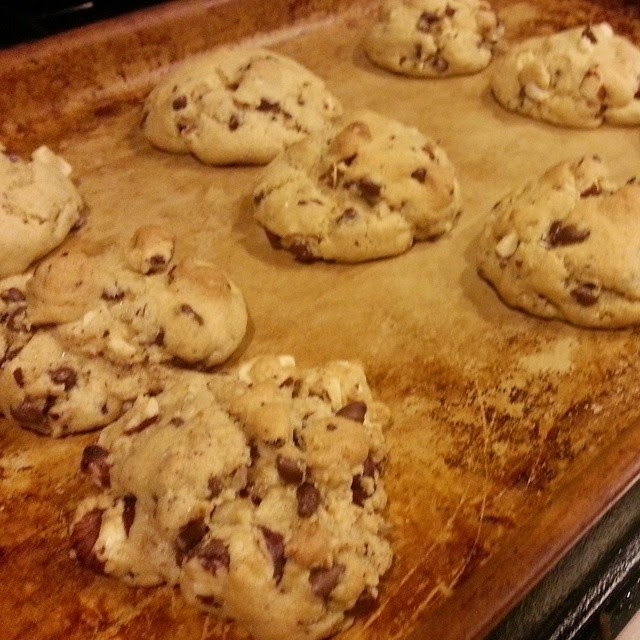 So on any whim I can have fresh baked cookies in minutes!